The new Intel® Ethernet Converged Network Adapter X540-T1 is the lowest cost way to deploy 10 GbE in your data center today. Install the X540 adapter into a server and the auto-negotiation between 1 GbE and 10 GbE provides the necessary backwards compatibility that most customers require for a smooth transition and easy migration to 10 GbE. When time and budget allows, 10GBASE-T switches can be added any time to experience the full benefits of 10 GbE. The wait for a low cost 10 GbE copper solution to broadly deploy 10 GbE to all corners of the data center is over. 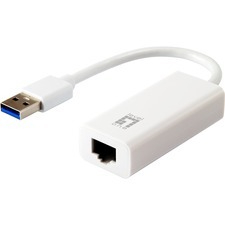 The new X540, single-port adapter provides bandwidth-intensive applications with highly affordable 10GbE network performance and cost-effective RJ-45 connectivity for distances up to 100 meters.Intel® Ethernet- It Just Works!